Luísa Sobral is one of the most important composers and singers of the new generation of Portuguese musicians. She debuted in 2011 with 'The Cherry on My Cake', a very well welcomed album by both public and media. It was followed by 'There's a Flower in My Bedroom' (2013), where featured special guests such as Jamie Cullum, António Zambujo and Mário Laginha, 'Lu-Pu-I-Pi-Sa-Pa' (2014) where Luísa expands her musical universe out of the aesthetic limits of his first two albums and 'Luísa' (2016) that was recorded in Los Angeles by the prestigious American producer Joe Henry. Luísa Sobral performed in important events such as the Barcelona Jazz Festival, the Cartagena Jazz Festival, the London Jazz Festival, Cully Jazz, SXSW in Texas, among others, and toured in countries such as Spain, France, Turkey, Israel, Germany, Switzerland, Luxembourg, USA, Morocco, South Africa, Namibia, Zimbabwe, Botswana, Brazil, Uruguay, among others. In 2017 Luísa composed 'Amar Pelos Dois' the winning theme of the Eurovision Song Contest, interpreted by her brother Salvador Sobral. At the end of 2018, Luísa released 'Rosa' her fifth album of originals. For the production she invited the Catalan Raül Refree, one of the most prestigious producers and multi-instrumentalists in Spain. In addition to voice and guitar, Luísa Sobral and her producer favored classical instruments: a trio of woodwinds and classic percussion. 'Rosa' is the most personal, mature and intimate album by Luísa Sobral. The beauty of the compositions is enhanced by the stripping of the arrangements and the creative complicity between Luisa and Refree. 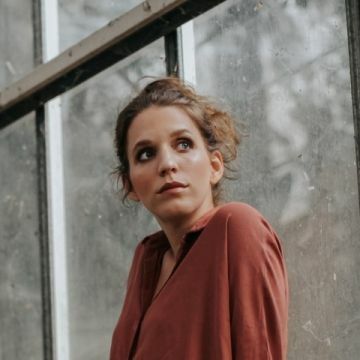 In 2019, Luísa Sobral returns to international stages with a new line up and the invitation to sing in person the stories from 'Rosa'.